New York Giants: What's The Strongest And Weakest Unit? 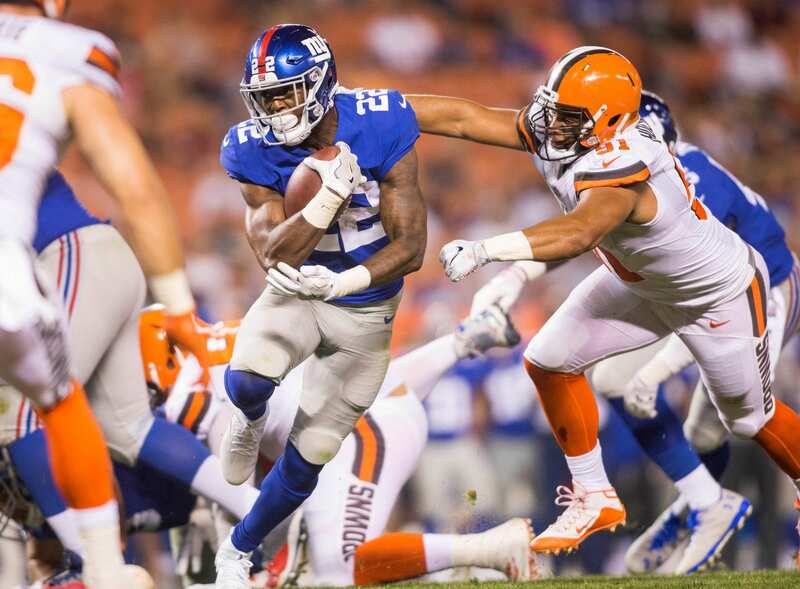 Home New York Giants New York Giants: What’s The Strongest And Weakest Unit? New York Giants: What’s The Strongest And Weakest Unit? The New York Giants are currently in the midst of an overhaul ahead of week 1 of the 2018 regular season. Despite the whole-sale changes, the team seems to have a better feel and look around it, especially with the return of Odell Beckham Jr. and the drafting of Saquon Barkley. Each unit on the team ranks from good to bad with optimistic in-between. In this article we will take a look at the strongest and weakest links no the team. It’s easy to look at the wide receiver corps and go, “this is one hell of a unit…” but in reality it drops off significantly after Sterling Shepard. While we’re hopeful that Cody Latimer can step up and take on an elevated role on the offense, it’s still to be determined. That’s why I’m ranking the receiver corps below that of the running backs. With rookie Saquon Barkley leading the charge, it’s almost guaranteed the backfield will be housed by a different caliber of back this year. The reason I believe it’s the strongest unit on the roster is because of the depth. Behind Barkley is Wayne Gallman – second year man out of Clemson. His abilities have been on full display this preseason and even showed great potential in 2017. He seems to have added a bit more muscle and his vision has improved significantly. If Barkley is forced out at any point I’m more than confident that Gallman can handle the workload in his absence. I can’t say that if OBJ goes down. Behind Gallman is veteran Jonathan Stewart, an 11 year player with the wisdom and grit to come in and fill a role if need be. It’s safe to say he’s being overpaid drastically for his knowledge and mentor-ship of the younger backs on the roster. The weakest link on the team is not just the safeties or cornerbacks…it’s both. The entire secondary is weak and unproven. They’ve struggled to contain top receivers and half of them have been cut in the past week. The signing of several new defensive backs has set the defense back a bit, especially if injuries arise. The Giants need to pray that their starters remain healthy. The only player that I am confident in is Janoris Jenkins – he will cover the opposing team’s top wide-out. In addition to the corners being thin, former safeties Darian Thompson and Andrew Adams were both released. It was expected that they would compete for the starting job but transitioned cornerback Curtis Riley has displayed good qualities at safety. He will start the season as the primary free safety.